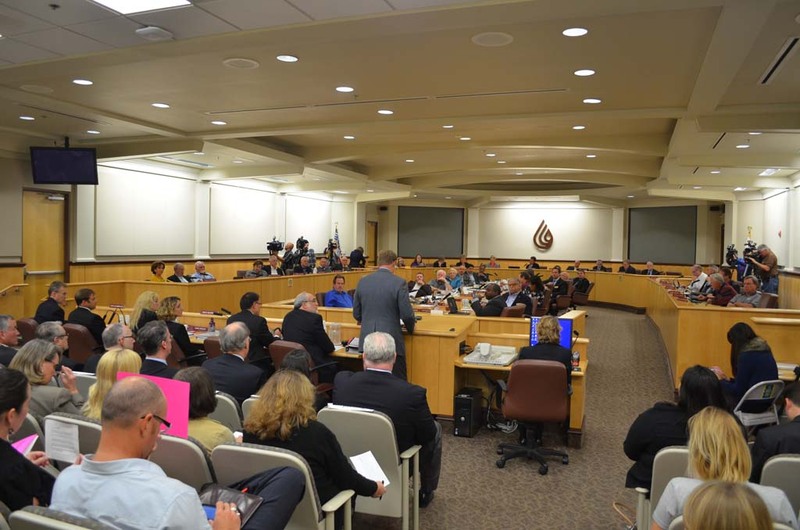 CARLSBAD — The San Diego County Water Authority’s Board of Directors voted Thursday afternoon to approve a 30-year deal to buy water from a future Carlsbad seawater desalination plant, despite dissent from environmentalists and others. With the plan getting the green light, Poseidon Resources, a private company that proposed the desalination plant, plans to secure financing for the nearly $1 billion project. The desalination plant would be built near the Encina Power Station in Carlsbad, and is scheduled to go online in 2016. Supporters of the project said at the meeting that the plant is key to making San Diego less dependent on imported water. “This desalination project will insure my children have enough drought-proof water for the next 30 years,” resident Brett Jones said during the public comments section before the vote. Carlsbad councilwoman and water authority board member Farrah Douglas concurred, adding that future economic growth is only possible with a variety of water sources to draw from. The desalination plant, which would be the largest in the Western Hemisphere, has the capacity to produce 50 million gallons of fresh drinking water a day. By 2020, it could supply an estimated 8 percent of San Diego County’s water, or about one-third of water generated in San Diego County. But not everyone is convinced. 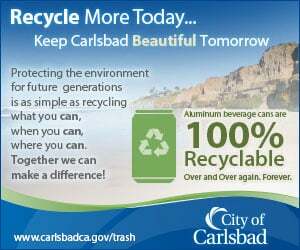 Opposition to the plan was led by San Diego Surfrider. A dozen members or so members from the group voiced that more resources should be dedicated to conservation and recycled water before considering cost-intensive seawater desalination. Also, some pointed out that some ocean desalination plants in Australia and other parts of the world are currently inactive due to cost overruns, a fate that could befall Carlsbad, they said. Further, many criticized the water authority board for voting on the plan without more in-depth information about the cost for ratepayers. Currently, the plant is projected to increase water bills throughout the county by an average of $5 to $7 in 2016, but that would vary depending on the district. Several water districts said the plan would disproportionally affect them. For example, Brian Brady, representing the Fallbrook Public Utility district, said by his analysis residents’ water bills in his district would go up $10 to $20. Under the deal, the total price for desalinated seawater is projected to start between $2,041 and $2,290 per-acre foot in present dollars, more than double the current price the water authority pays. Several board members noted that desalinated water would initially be more expensive, but that the price of water from the Colorado River and other places is expected to shoot up, meaning seawater desalination should be financially savvy beginning around 2020. Others against the deal said ratepayers could be on the hook should the plant fail. In response, county staff said that the water authority would not have to make payments to Poseidon until the company produces water that meets predetermined standards. Eighty-five percent of the board approved the plant; 55 percent in favor was required for the deal to move forward.